To attract foreign investment to Canada and boost the economy, the government offers several immigration programmes for wealthy individuals and entrepreneurs. They encourage affluent individuals to relocate to Canada and/or do business there, offering them tax and other benefits. Apart from the financial contribution, the government aims to attract foreign talent, experience and innovation. Funds generated from the investments will be used by Quebec to benefit all its regions and to finance two business support programmes, Business Assistance—Immigrant Investor Program (BAIIP) and Employment Integration Program for Immigrants and Visible Minorities (PRIIME). Canada’s economy is highly developed mixed economy. It offers endless opportunities for foreign investors and businessmen in exchange for their contribution in the local economy. Intention to settle in Quebec. Legal source of funds for investment. Knowledge of French and English for entrepreneurs and self-employed. Education and work experience for entrepreneurs. Valid business plan for entrepreneurs. Application for Canadian permanent residence is divided in two phases, regional and federal. An individual who wishes to settle in Canada applies under one of the Quebec immigration programmes. Once they are selected by the Quebec authorities and receive their Quebec Selection Certificate, they must apply to the Government of Canada for permanent residence. If your application is successful, you will get a permanent resident visa. To apply for citizenship in Canada, you must have permanent resident status for five years and spend in Canada at least 1,095 days, i.e. three years, during the 5 years before you submit your citizenship application. Canada permits dual citizenship, so you don’t have to renounce your current nationality. There used to be operating the Federal Immigrant Investor/ Entrepreneur Programmes, but they have been recently terminated. However, there are other regional immigration programmes for business people such as Quebec Investor, Quebec Entrepreneur and Quebec Self-Employed Worker programmes. An investment agreement must be signed with an approved financial intermediary for the investment of C$1,200,000 for 5 years. The number of signed agreements is subject to a quota. The investment is guaranteed by the Government of Quebec. Financing options are offered to applicants by brokers and trust companies. At least 2-year management experience in planning, management and control of financial, human or material resources. This must be acquired in 5 years preceding the application. Net assets of C$2,000,000 acquired and available to you alone or together with your accompanying or de facto spouse at least 6 months before the application. Main attraction of this programme is that your investment will be returned to you in 5 years. 1. Submitting a business project for creation or acquisition of a business in Quebec. 2. Acquisition of a business in Quebec. A business must be of agricultural, industrial or commercial nature. You must make a start-up deposit and a security deposit at a financial institution with an establishment in Québec with whom you have signed a deposit agreement. You must use the start-up deposit to set up your business. A start-up deposit for a business outside the Montréal Metropolitan Community (MMC) is CAD $200,000 or CAD $300,000 if the business is located in the MMC. You must demonstrate that you will manage it yourself or you will participate in it as management and operations partner full-time on a daily basis (agricultural entrepreneur does not have to work full-time). You must control, alone or with your accompanying spouse or common-law spouse, at least 25% of the capital equity with a value of at least C$100,000. You cannot buy a business acquired by another entrepreneur under this programme in 5 years preceding your application. Candidates have been recently encouraged to settle outside metropolitan areas, including they are offered low-skill jobs validated by the state. You must come to Quebec to create your own job by practising a profession or business activities, alone or with other immigration candidates, with or without paid help (you must register with a regulatory body if your profession or trade is regulated in Quebec). You must make a start-up deposit at a financial institution in the region where you are going to work – C$25,000 if outside the Montreal Metropolitan Community (MMC) area or C$50,000 if inside the MMC area. Financial self-sufficiency with net assets of C$100,000 available to you alone or together with your spouse if they are accompanying you. Legal and lawful source of assets. At least 2-year professional experience as a self-employed worker in the field in which you wish to work in Quebec. Canada is a country in North America that consists of ten provinces and three territories. It is the world’s second largest country after Russia. And it is one of the most sparsely populated countries in the world which contributes to the national identity. It is officially bilingual due to its turbulent history, as well as very ethnically and multiculturally diverse due to large-scale immigration from many other countries. 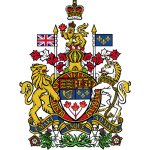 In 1931, Canada became fully self-governing within the British Empire, but only in 1982 it gained full legislative independence with the right to amend its own constitution. Canada is closely connected to the USA geographically, culturally and economically, though people’s mentality and values are different, e.g. Canadians value community over individualism. Membership: Commonwealth of Nations, Francophonie, UN, NATO, G7, G20, OECD, Organisation of American States, NAFTA, APEC forum. Landscape: varied with world’s longest coastline, boreal forests, mountain ranges and glaciers, flat prairies. Climate: ranges from arctic in the north to hot in the south, with four distinct seasons. Canada’s economy is highly developed mixed economy, mainly relying on its abundant natural resources such as gold, nickel, uranium, diamonds, lead, etc. and international trade. Another major sector of the economy is services sector, including financial, real estate, insurance and professional services. It accounts for around 70% of GDP and is the largest employer. Natural resources industry is highly regionalised which requires the government intervention and control. It also raises concerns about sustainability, depletion and overuse. Canada is still one of the largest suppliers and exporters of agricultural products in the world, including wheat and other grains. It is largely supported and subsidised by the state. Principal products that are exported are agricultural, energy, forestry, mining, machinery and manufacture products. Main imports are machinery and equipment, motor vehicles and parts, crude oil, chemicals, electricity, durable consumer goods.